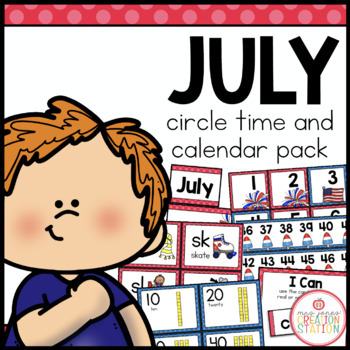 This resource can be used during your circle time or calendar in a Preschool, Pre-K or Kindergarten classroom for the month of July. The calendars have editable fields throughout to help meet the specific needs of your learners. Buy the Calendar and Circle Time Bundle and SAVE!!! Includes an July title, editable year, and date cards with an ABBB pattern. Print these pages front and back and have your learners fill in the dates for the month of July and the July letters, numbers, and shape. Use these welcome, months, days of the week and weather songs during July Calendar time. Practice counting to 120. Cut, tape or glue and laminate as a single strip. 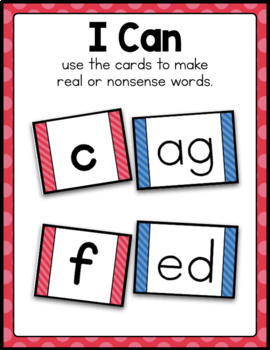 Post the focus letters (Aa-Zz), numbers (1 through 20), shape (octagon), colors (review from previous months) and editable sight words to introduce and review during the month of July. 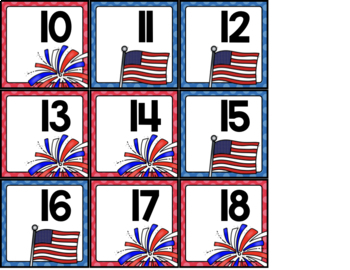 Place the cards provided in two different boxes, one for onsets and one for rimes. 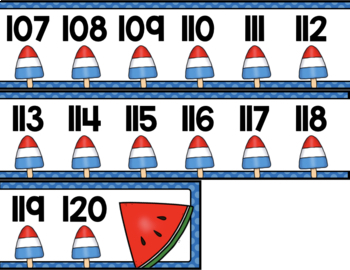 Have the learners pick a card from each box and blend the sounds together. Decide if the word is a real or nonsense word. How can I see what is new in the MJCS store? Be the first to know about new discounts, freebies and new products. Look for the green star next to the MJCS store logo and click it to become a follower of my store. You can also subscribe to our newsletter here to receive access to resources only available to MJCS subscribers, as well as, special offers and ideas! How can I get credit for my TpT purchases? Go to your account button at the top of the page. Under the “Buy” section, click "My Purchases ". Beside each purchase you’ll see a Provide Feedback button. Simply click the button and you will be taken to a page where you can give a quick rating and leave a comment for the product. Each time you give feedback, TpT gives you feedback credits that you use to lower the cost of your future purchases. Please leave detailed feedback for each resource, so we are able to create better resources for teachers and students. How can I find a certain activity in a large PDF file? If the resource you purchase has a variety of activities compiled into one PDF find the table of contents and click on the activity title. This should take you to that specific activity in the resource. What can I do if I have a question about a resource? If you have any questions regarded a resource before purchasing please email me at mrsjonescreationstation[at]gmail.com. Once you have purchased the resource you may use the “Product Q and A” tab on the product page to ask a question, as well. How do I know if a resource has been updated? Go to your account button at the top of the page. Under the “Buy” section, click "My Purchases ". Choose to “sort by: recently updated” to see what resources have been updated since you downloaded them last. You can download any updates from there. If a file has been updated, you will see a notification under the resource that says "Newly Updated – Download for Free!". Click here for a detailed post with step-by-step directions. You will need to download fonts specified in the resource and install it on your computer before downloading the editable file. You will need to download KG Primary Dots, KG Blank Space and KG Second Chances to edit this resource. Install the most recent version of Adobe Reader onto your computer. If you have any problems editing, viewing or printing a file make sure your Adobe Reader is updated.